The versatile Cobb range of barbecues, and accompanying accessories, are designed for supreme portabilty so you can cook anything, anywhere, anytime perfectly roasting, baking, frying, grilling and smoking food wherever you may be. 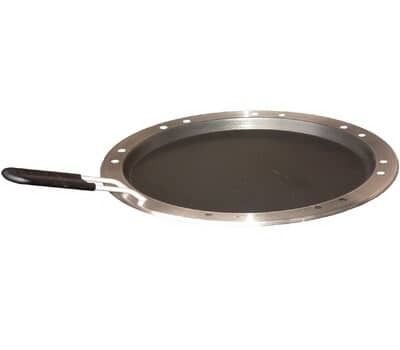 The Cobb Fry Pan is just perfect for eggs, bacon, pancakes and pizza on a Cobb barebecue when you are on the go so makes an ideal way to expand the cooking range of a Cobb Premier, Premier Gas, Compact or Pro. There are currently no reviews for this product Click here to add your review to be the first to review the Cobb Fry Pan.